The Homer Laughlin 2601636 oval platter has a diameter of 113⁄8 inches that is great for large meals, while the oval shape works well for appetizer samplers. 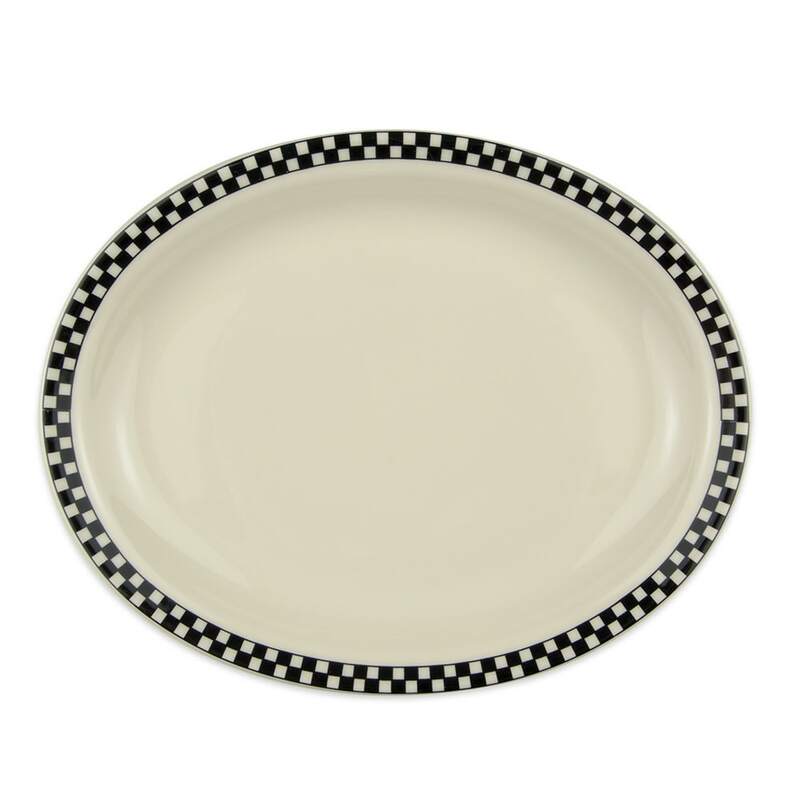 A retro vibe is created thanks to the black and ivory checkered pattern along the edge of the dish. With such a narrow rim, more food easily fits on the surface of the platter. 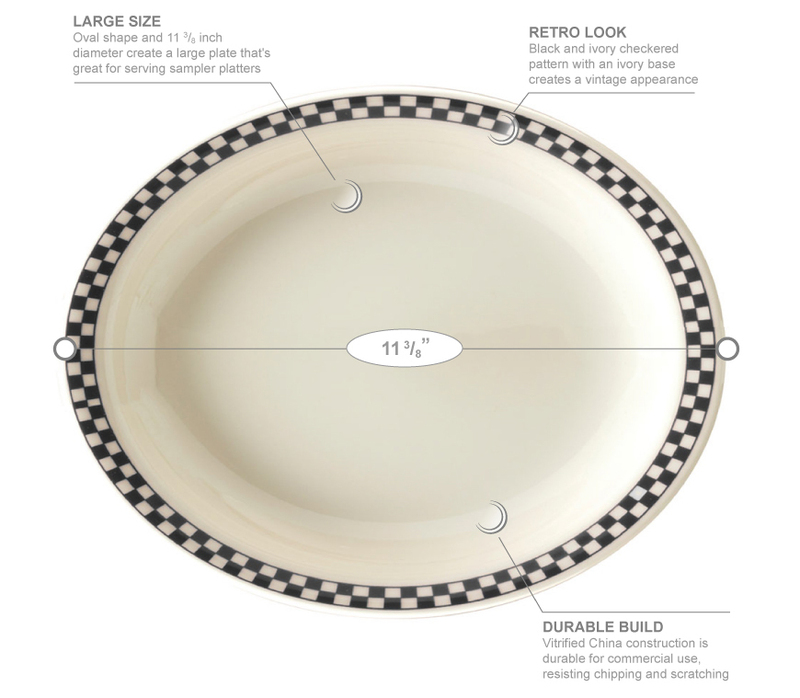 The Homer Laughlin 2601636 oval platter is made of china for durability in commercial settings, resisting chipping and scratching on the surface and edges.